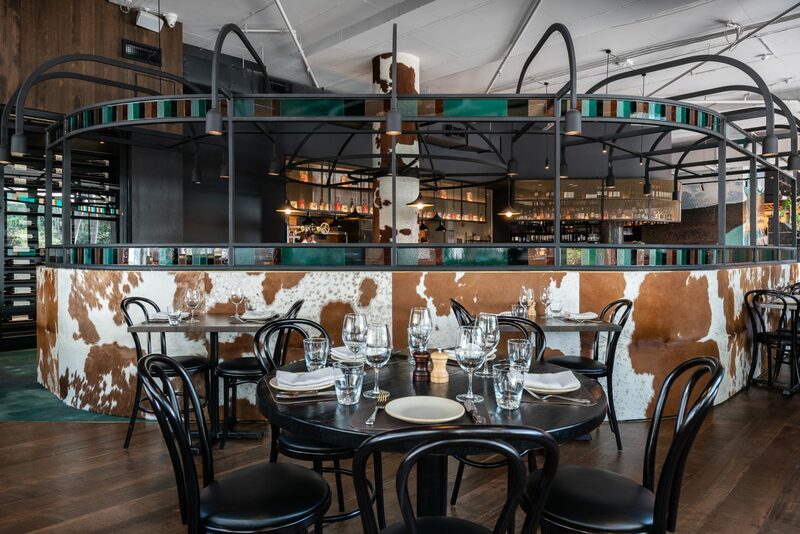 Brought to you by the team behind some of Melbourne’s favourite South American establishments, San Telmo, Pastuso and Palermo, Asado is the latest instalment from the team bringing delicious South American fare to Riverside Quay by the Yarra. 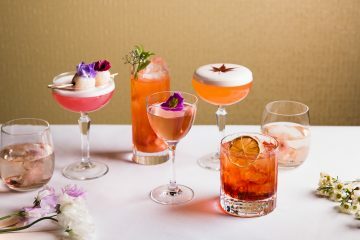 Joining a stable of Argentinian barbeque restaurants, Asado has a lot to live up to and it’s great to report that it does. Whilst Palermo is more Italian leaning, Asado mixes it up with a hint of Spanish flair. The restaurant has a decidedly South American feel with cow hide, steel beams and an open kitchen featuring a fire pit and charcoal grill. This is really the heart of the restaurant and catches your eye as walk in to the restaurant. The main dining area enveloping the kitchen and a private dining room and bar area completing the restaurant. Like its stablemates, Asado’s menu showcases premium meats that are cooked on the grill including different cuts of beef (and there’s a handy picture that shows you which part of the cow the cut is from! ), chicken, lamb and the piece de resistance, grilled pork spit roasted with just the right amount of crackling. The nod to Spain comes through with pintxos-style small bites. 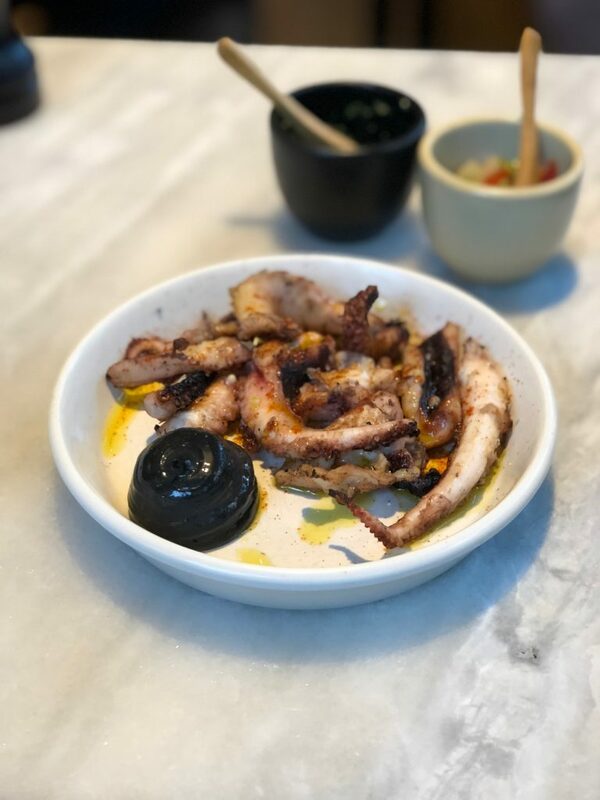 From Salt Cod Croquetas, a beautiful combination of salty fish and potato with a crunchy outer balanced with a hit of sour cream to Pulpo, charred baby octopus, smoked paprika, squid ink cooked to perfection. The menu features old time favourites like the must-have Empanada, filled with beef, green olive and egg, and Chorizo, but also a twist on the popular Ceviche. 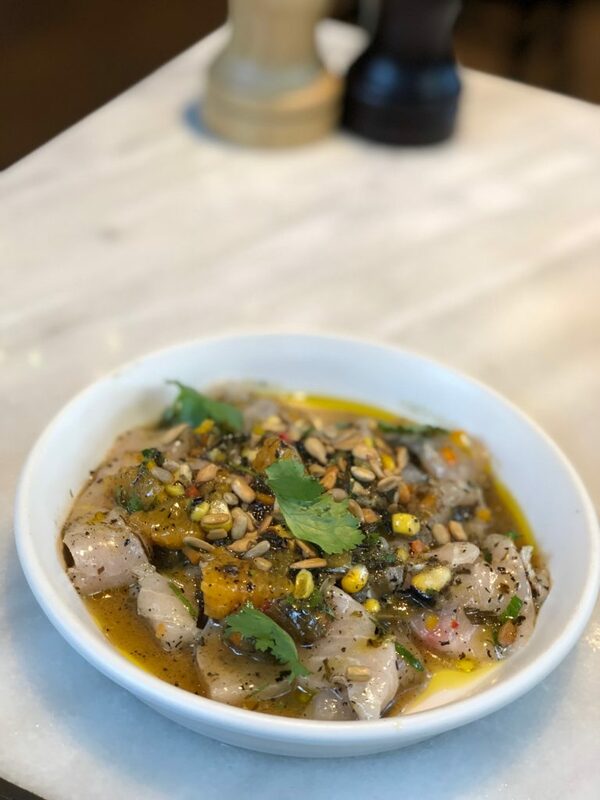 This one featured pickled corn, charred spring onion and tangelo with the ceviche white fish which added a delightful addition of crunch and texture to the dish but also an added sweetness that balanced the acidity. 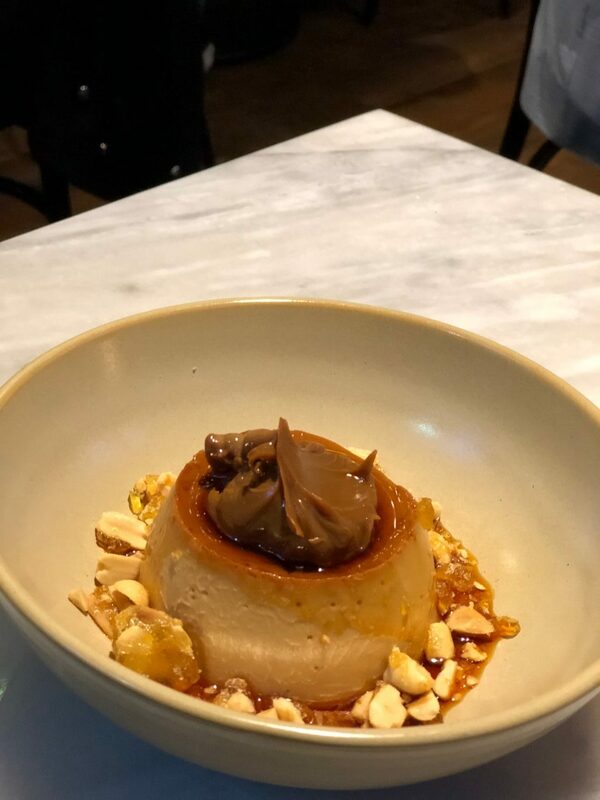 I highly recommend leaving space for dessert as Asado makes the most delicious Flan, made of dulce de leche crème caramel, salted peanut praline. Ridiculously indulgent and sweet, it is a classic ode to the Argentinian and Spanish roots of Asado’s menu. 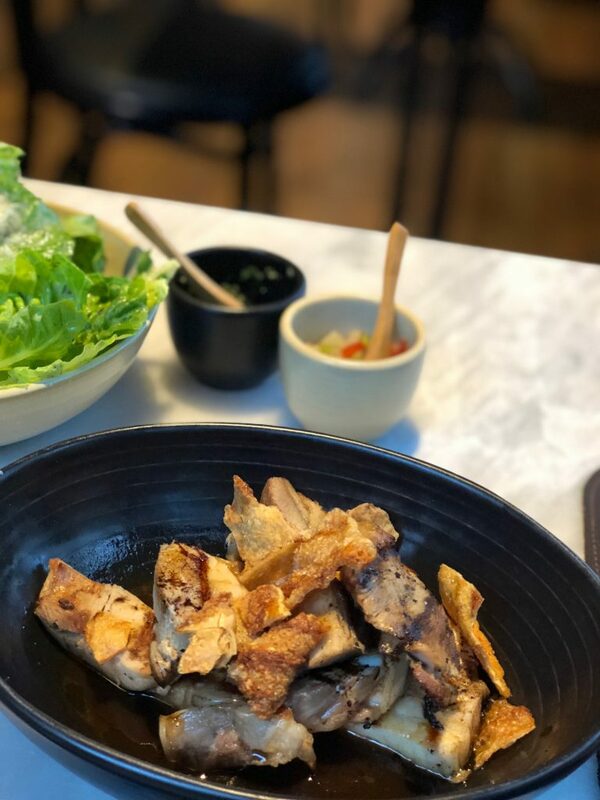 Asado is a great addition to the Riverfront area of the Yarra and with a menu that indulges any food lovers desire of charcoal grilled meat, it’s the place to visit.